Reinforced concrete is one of the most widely used modern construction materials. It is inexpensive, readily available, has a range of attractive properties and characteristics and is suitable for a variety of building and construction applications. 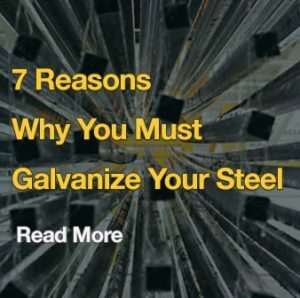 It is also used in a number of exposure conditions, which in some cases highlights one of the main weaknesses of reinforced concrete: the potential for the steel rebar to corrode, resulting in staining, cracking and failure of the surrounding concrete. 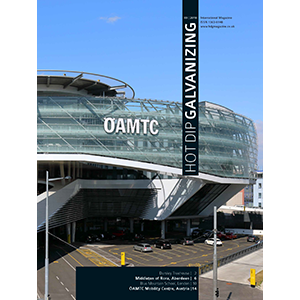 For many years hot dip galvanized coatings have been used around the world to effectively and economically protect rebar from corrosion. Concrete is a porous material that has a good compressive strength, but a poor tensile strength. 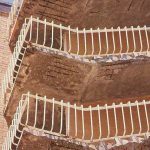 Reinforcement improves the tensile and shear properties and provides a degree of crack resistance. 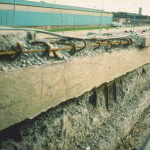 Uncoated reinforcement should not corrode as steel forms an adherent passive layer, but in practice the composition of the concrete, the level of the coverage, the density, permeability and the environment in which the structure is located may lead to deterioration of the concrete. 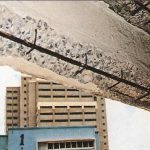 As the pH of the concrete falls, the concrete deteriorates, which leads to the formation of corrosion products with increased volume, which lead to tensile stresses in the concrete. Carbonation refers to the chemical reaction between carbon dioxide, calcium hydroxide and the hydrated calcium silicate in the concrete and eventually leads to the corrosion of the uncoated reinforcement. The concrete with a high water : cement ratio and a lower Calcium hydroxide content are more prone to carbonation. Chloride attack on the steel reinforced concrete in the presence of water and oxygen is very serious as chloride enters the concrete from cement, water, and aggregate and sometimes from admixtures. Uncoated reinforcement will withstand up to 0.15% chloride by mass or 0.4 kg/m3(American Concrete Institute) and the typical time for chloride attack is 15 years.